STAR LANKA _ TV Radio Sri Lanka , around the world _Entertainment Arts with FUN: Indian Idol 3 - Prashant Won >>>>> Congratulation Prashant ! 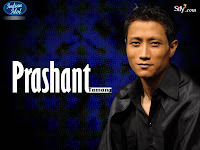 Indian Idol 3 - Prashant Won >>>>> Congratulation Prashant ! Now, 2 days have gone after the finale of Indian Idol Season 3. Many ones wanted to know why I’m silent without updating my blog. Exactly, I want to be wait for see how other web sites are activating to the result . As I thought before , most sites have forgotten others than The Super Hero’s Amith And Prashant. Why all of you so hasty to forget the real fun we’ve got with Indian Idol and to leave others who’ve helped the show to popularize the most success one. Husain, Mini and more to be remember with the quality of the show. AMITH is the Winner – Amit Won The Poll Of Our Blog. The Top 5 , (according to the votes for poll of this blog ). Then, Amith is the No.1 . Prashant is the runner up. We Congratulate Amith Paul , For your success, all the best wishes to be happen. Thanks all of you, to visit this blog as a much popularized one, and for the voting here or the poll to select the best one before the real one select by the SONY SET. In past months I was acted to be on medium path , not biased to Amit or Prashant. Both of them are good and have different abilities to their own. Now It’s time to Say Good Bye ! to many of you. 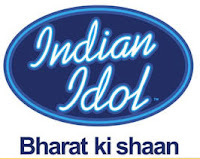 Because , most of you visit here to read and get to know latest information regarding Indian Idol. Now it’s over and you are free to go if you don’t want to visit here and don’t like to read my articles. But, If you can stay with me like past, I’m very happy. Some times some things happening and we can’t predict when. There’ll be more thing to discuss in time to come.All of your comments appreciated and first you must have created Google free account to post comments. If you have one use the password and user name to post a comment here and do it, they will last forever and, don’t like the CHAT BOX, there any one can use any name and personality is not a relating question. Some time ago, When Indian Idol season 3 has begun I was not interested much. But, when I was changing channels , suddenly saw a face with some kind of different voice on SONY SET. The 1st reason I wanted to watch Indian Idol was that strange voice. He is none other than “PRASHANT”. After that time, I was familiar with other voices as well.Then, my favorite voices shifted to each ones with each weeks performances. Something strange was happened. The one , who was the reason behind to watch the show for me, WON the title of Indian Idol , without others. In the middle of the show time of the season, Changed my mind from one from others.But finally , The Reason won the title. All the top 12 singers are very good, and nothing compare to other Programs those are showing on other channels. Indian Idol is the best , and One of the most entertainment shows in the world. We can’t forget the below competitors, who have given more entertainment for us in the past. Hope they’ll do in the future too. These are the most talented singers in our era. I wish all of you to do much better performances in due case too. We miss you ! too ! But wish come in many ways without delay. Don’t think we’ll forget you, and pleasure ll of you have given. All of them have rocked the whole world up to now. We wish to keep it up with their own creations. The heart of the Indian Idol is, Anu Malik. Without him there never be a such huge show. After that, Alisha, Javed and Udith , we wish all the best for you in the future. Hope, to see in the next season also. When I go back to the past, there were very much entertainment moments to so sad moments in the season. Every singer has some unique ability that can’t compare with any one in the world. All of them are very talented singers, must use the chances they are facing in time to come. They are not a country asset, it’s global. Even me, I’m not an Indian or never visited there. But we are grateful about anything if we feel it’s good. I think, the entertainment industry in India can’t compare with any other countries in the world, it’s the best !